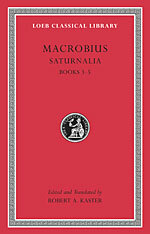 The Saturnalia, Macrobius’s encyclopedic celebration of Roman culture written in the early fifth century CE, has been prized since the Renaissance as a treasure trove of otherwise unattested lore. Cast in the form of a dialogue, the Saturnalia treats subjects as diverse as the divinity of the Sun and the quirks of human digestion while showcasing Virgil as the master of all human knowledge from diction and rhetoric to philosophy and religion. The new Latin text is based on a refined understanding of the medieval tradition and improves on Willis’s standard edition in nearly 300 places. 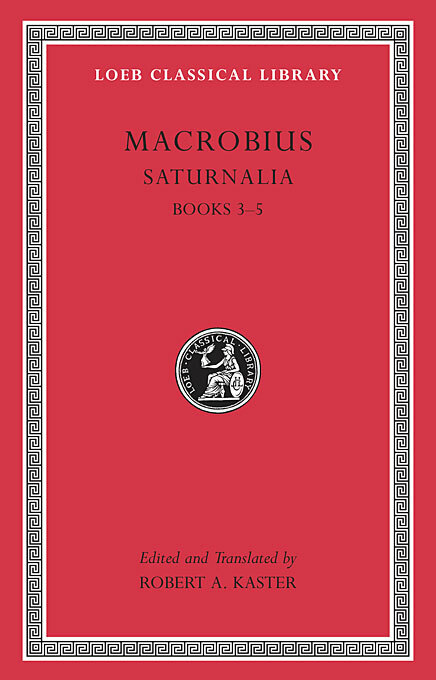 The accompanying translation—only the second in English and the only one now in print—offers a clear and sprightly rendition of Macrobius’s ornate Latin and is supplemented by ample annotation. A full introduction places the work in its cultural context and analyzes its construction, while indexes of names, subjects, and ancient works cited in both text and notes make the work more readily accessible than ever before.